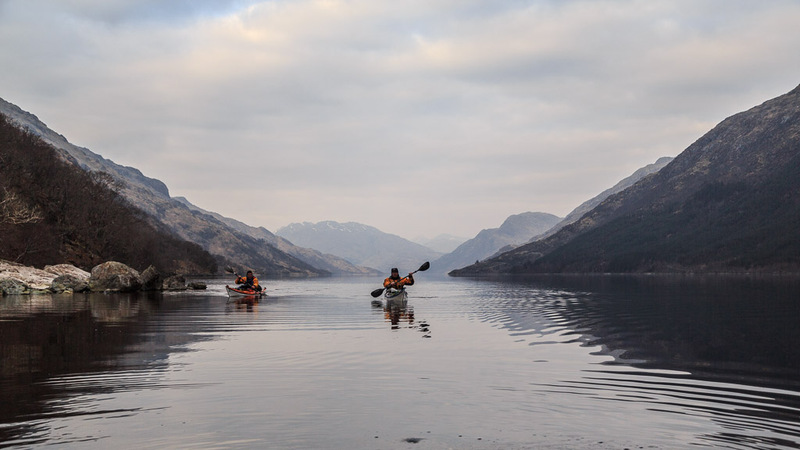 The tattie stick of Loch Shiel. ..the delta of the River Aladale which flows out of Glen Aladale, the ancestral home of the Jacobite MacDonalds. 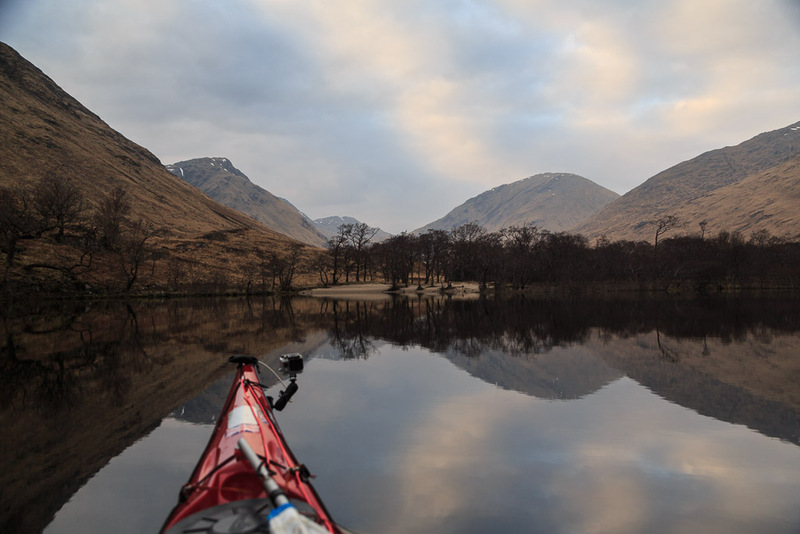 We were keen to get as far down the loch as possible before night fall so we pressed on. 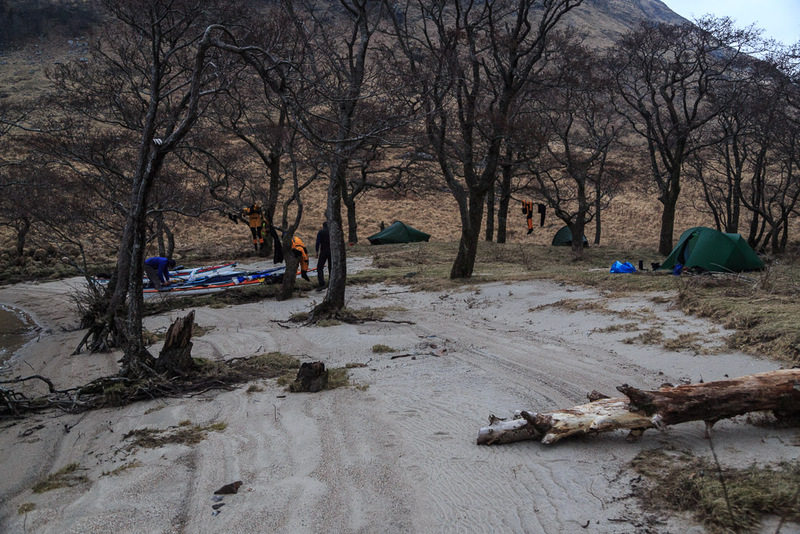 Just as the sun was setting a cold SW wind got up and made finding a camp site more urgent. We came to a spot where there were two potential camp sites a few hundred metres apart. One had better ground but was exposed to the cold wind. We were getting tired and visited each site twice before making our final decision. 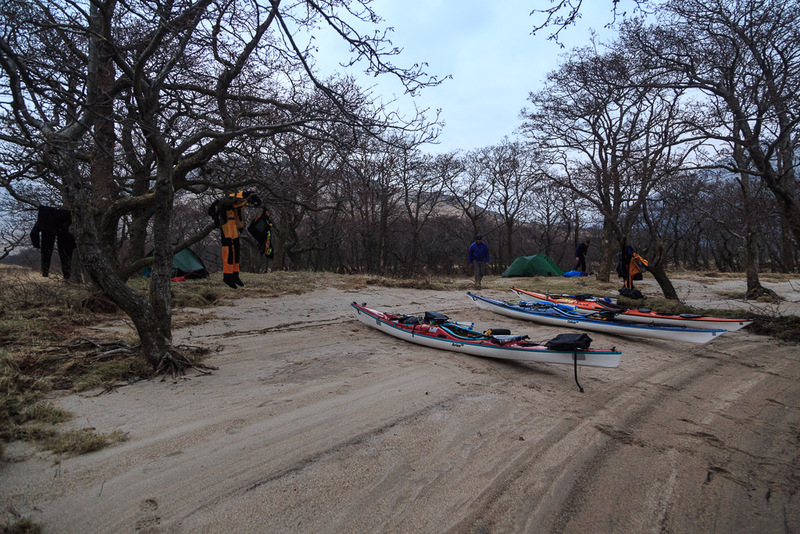 In the end we decided on the more sheltered location and soon had the tents up and our evening meal cooking. 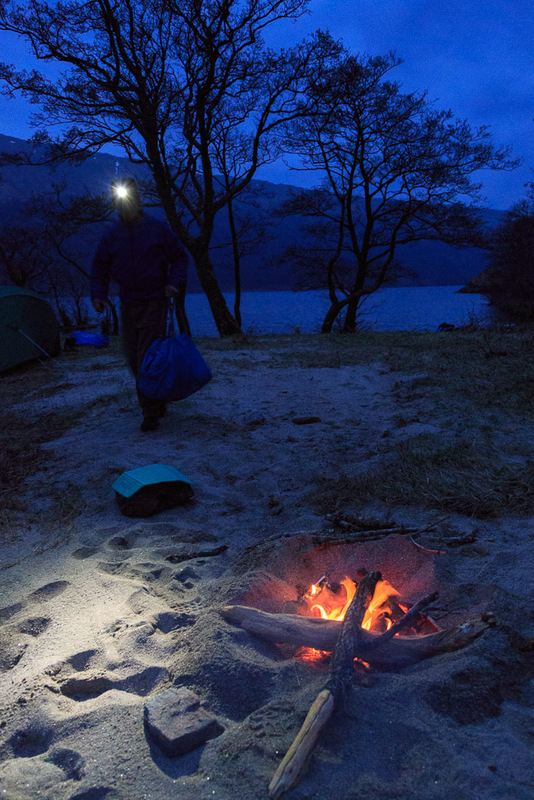 We got all our things in order by the time darkness fell over Loch Shiel by which time, it was time to get the camp fire lit. 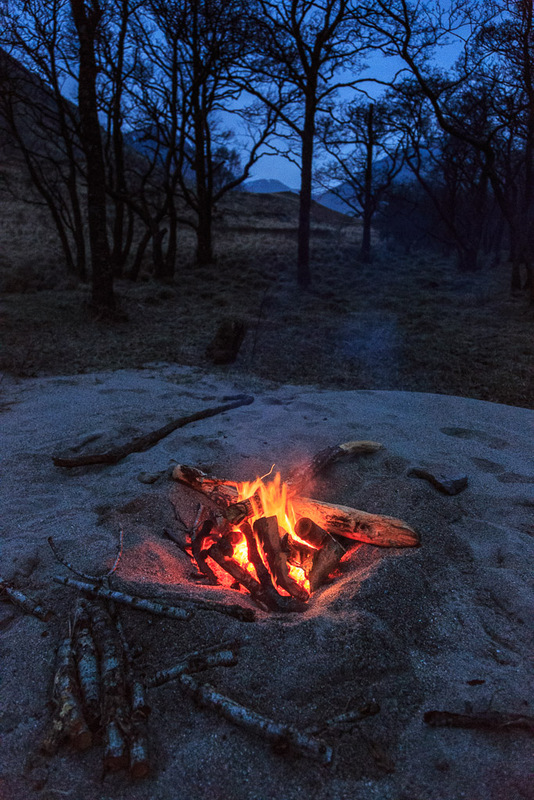 0Baked potatoes were cooking in the embers as we warmed our toes by the fire. We toasted the success of our first day with several malts before the tattie stick was produced to howk the tatties oot the fire. One thing the prudent camper must not do is to chuck all the sticks on the fire before the potatoes are removed. One suitably long stick must be retained! With some butter and salt, the baked potatoes were absolutely delicious and were unanimously voted the best ever.